We are a practice on the western side of Dorchester located on the edge of the new Poundbury Village. 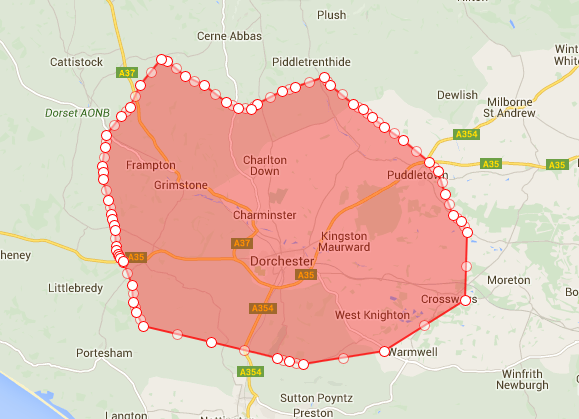 We cover a semi-rural and rural area that includes Dorchester and a surrounding area of approximately 5 miles radius. Please speak to our reception staff about registering with the practice. They will provide you with all the details including whether your address falls within the area served by the practice. You will need to come in to the Surgery with photo ID (such as a passport or driving licence) and proof of your address (for example a fixed utilities bill (ie not a mobile bill), bank or solicitors letter is ideal). If you have already completed and sent us the registration forms, you can bring your ID & proof of address with you to your first appointment. 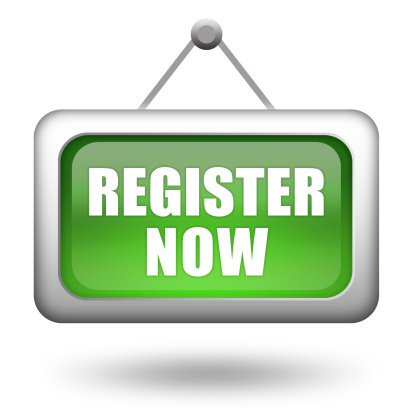 Registration forms and health questionnaires can also be downloaded from the above "Pre-Registration Online" tab. You can save yourself some time by filling in a pre-registration form and sending it to us using the "Send" button. If you wish to pre-register click on the link below to open the form. When you have completed all of the details, click on the "Send" button to mail your form to us. When you visit the surgery for the first time you will be asked to sign the form to confirm that the details are correct. Your registration is not valid until you have visited the surgery and signed your application in person. The surgery also reserves the right to refuse registration in certain circumstances. In order to complete your registration with us you will still need to come into the surgery with photo ID (such as passport or driving licence) and proof of your address (eg Council Tax bill for current year, bank or solicitor letter). When you register you will also be required to fill out a medical questionnaire. This is because it can take a considerable time for us to receive your medical records. When you come to the surgery you will also be asked to sign this form to confirm that the details are correct. You will still need to come in to the surgery with photo ID (such as a passport or driving licence) and proof of your address (eg Council Tax bill for current year, bank or solicitor letter). We can also prescribe if you run out of medication, but we would need to contact your usual doctor for confirmation of your prescriptions. It would therefore be helpful if you can bring your GP's details with you as well as photo ID eg driving licence, passport etc when coming to register as a temporary patient. We value your feedback - tell us what you think and how we can improve. “Doctors, nurses, receptionists, telephonists - all helpful cheerful and efficient. Top marks all around. “Many years of good friendly service and care to me and family." “Having recently visited another practice, I realise how lucky we are here." “Everybody was very pleasant and helpful." "Please can we have another chair with arms upstairs – there’s only one at present. Please could you put the “priority for less able” notice directly above the chair with arms, so as to make it clear to other patients that the chair is “reserved” for those with less mobility. In the downstairs waiting area, there are three chairs with arms but only one has a notice. The other two are in the middle of the area and need to be against the wall with a notice. Thank you." As requested we have ensured that there are two chairs with arms in both the upstairs and downstairs waiting areas (both against a wall) with a notice above them. The doctors try to keep to time, but this is not always possible due to the complexity of some conditions which patients present with. We would request your patience in such circumstances. We will endeavor to let you know if the doctor is running behind. If you have let Reception know you have arrived and have been waiting longer than 20 minutes past the time of your appointment, please let Reception know. Thank you for your understanding in this matter. Every morning we run a service for patients who request an urgent appointment or home visit. When you request such an appointment the receptionist may tell you that you will be placed on the Triage list and that one of the medical team will call you back. You will be asked for your name, telephone number and a brief description of the problem. We will ask you to remain available until the doctor or nurse calls you back. If your condition deteriorates you should telephone the surgery again. We are lucky as a gp surgery that we have free parking outside of our building. However we are sorry that you sometimes find it difficult to find a parking space when you visit the surgery. The only spaces actually part of the property of the surgeries are those immediately in front of the building. Parking spaces opposite are not our property and are for the use of anyone wishing to park there, so we have no way of regulating those. However, since the Duchy put up a restricted parking sign in 2017, we have seen quite an improvement in the availability of parking. We are aware that our current telephone system lets us down. It was purchased, at great expense, when we moved into the building over 10 years ago, but is no longer able to keep up with our demands. Our contract with our current provider does not allow for us to make suitable updates in a logical/easy way. The contract with this telephone provider comes up for renewal next year and we hope then to make vast improvements to our telephone system.